The Ventura Breath of Life Triathlon and I go way back. We met in 2008, went a second round in 2009, took a break, got back together in 2013, and once again in 2015. Can you spy me in one of my first BOL events (2008 or 2009)? 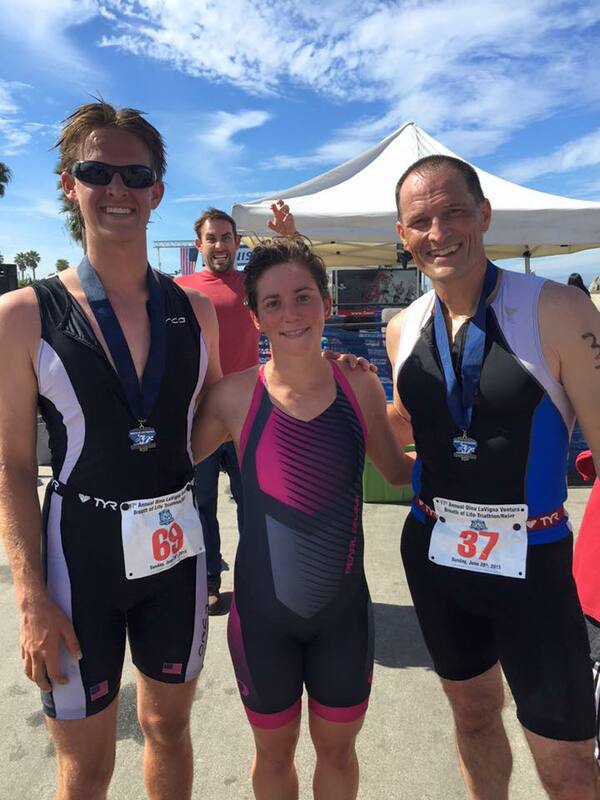 In previous years we were Olympic Distance buddies, but I decided to go for the Sprint this year. 1. I got to ride my bike 4 miles to the start (great warm up) and 4 miles back home after the race was over (great recovery). This is a great way to ensure that I warm up on the bike. Otherwise, I tend to skip that. 2. My support crew (hubs, mom, & dad) all made it, and didn’t have to wake up at too ungodly an hour to be there. Hubs got up at 6 a.m., which is “sleeping in” for him. Dad got up at 3 a.m., but that’s normal for him. 3. So many friends racing, supporting, and lifeguarding! 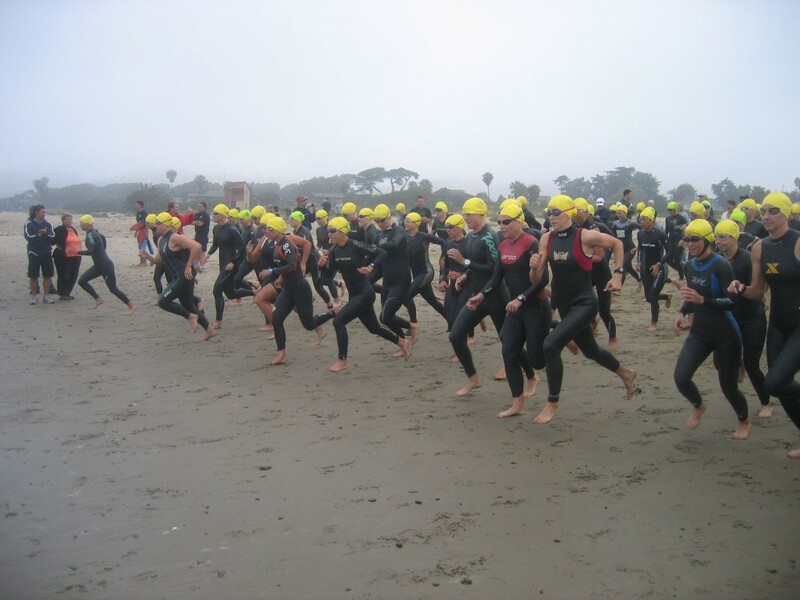 Swim for Triathlon (S4T) peeps, Rincon Tri Club members, LA area triathletes, and other Ventura friends (+ their families)–It felt like my triathlon and non-triathlon communities were colliding right there in my own neighborhood. That “collision” of worlds is one of my favorite experiences. 4. Feeling strong throughout the race. 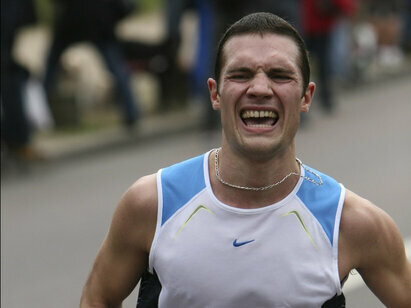 I like to train my body and mind so that when the race comes I can just “let it happen” and not think too much. I am grateful to have a wonderful support crew and coach to help me get to that point. I felt that this was one of those races where everything went smoothly. Of course, there are always some things that aren’t ideal (are things ever completely ideal in a triathlon?). That’s one thing what makes this sport unique–the uncontrollable aspect. You can’t control the ocean, the wind, the rules of the game, the choices that other competitors make, the road conditions, or sometimes even your own bowels. But, learning to prepare for the “anything” that may happen–and find a way to fight through that “anything” during the race–is a big, wonderful, life lesson for me. My “anythings” this race were: foggy goggles, feeling stuck behind a group in a 1-mile “no passing” zone, and a side cramp that made me want to make a face like this. I got off pretty easy this time. 5. Free food–for everyone! It was nice to not have to sneak food to my family since they were allowed to eat the post-race grub for free. Less-hangry spectators = Big plus. The “VooDoo” flavored chips and cinnamon-y pretzel sticks were also worth some points. 6. The wonderful cause. This race is held in memory of Dina LaVigna, and is put on by her family to raise funds for Primary Immunodeficiency. Read about the history and mission of the event here. Pre-race brunch. 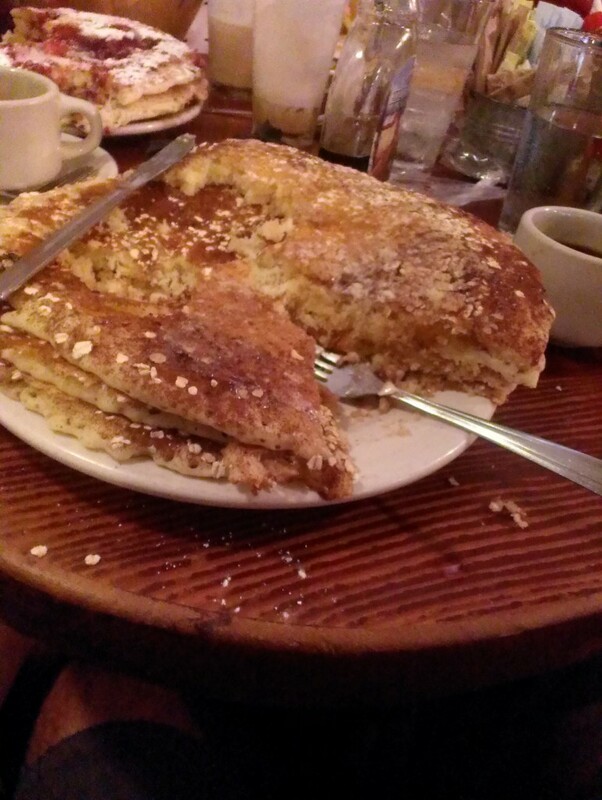 Brice and I shared these pancakes from The Griddle in Los Angeles. We probably finished about 1/8th of the stack. [PC: Shelli B.] Post-race with friends David and Eric. This photo accurately depicts Brice Oliver, in the background.